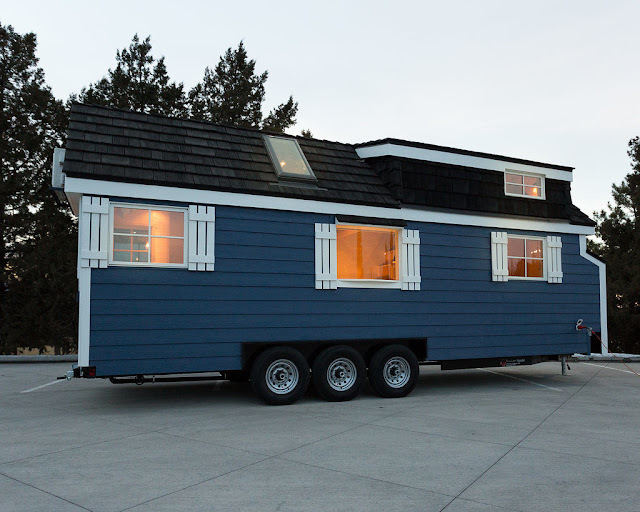 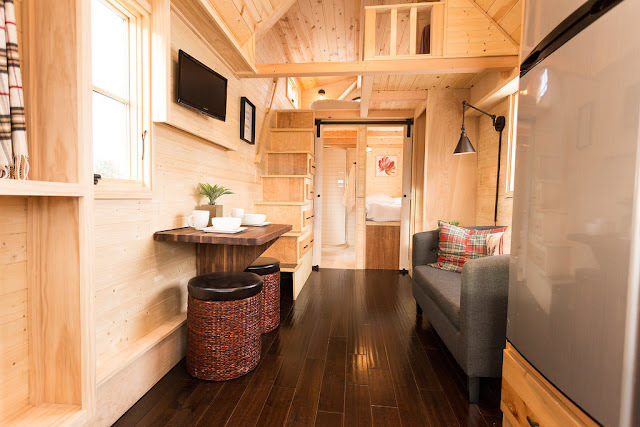 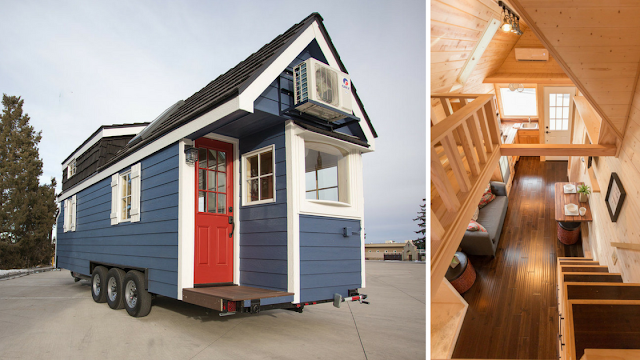 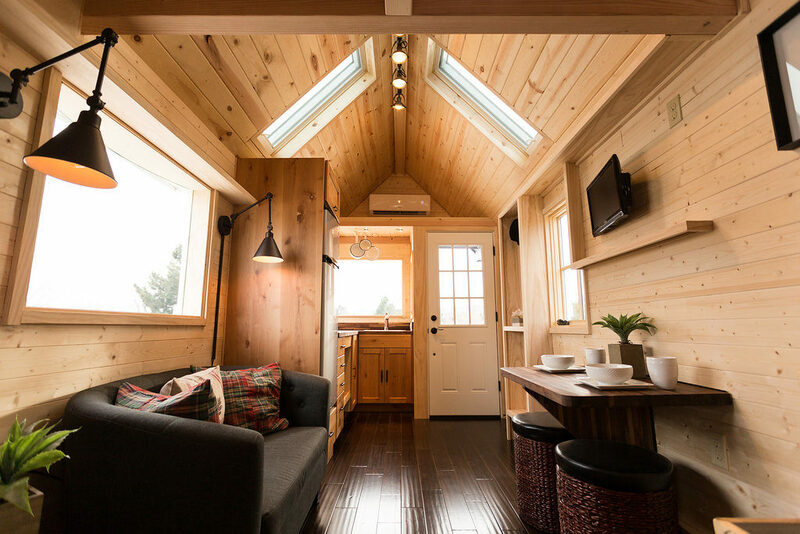 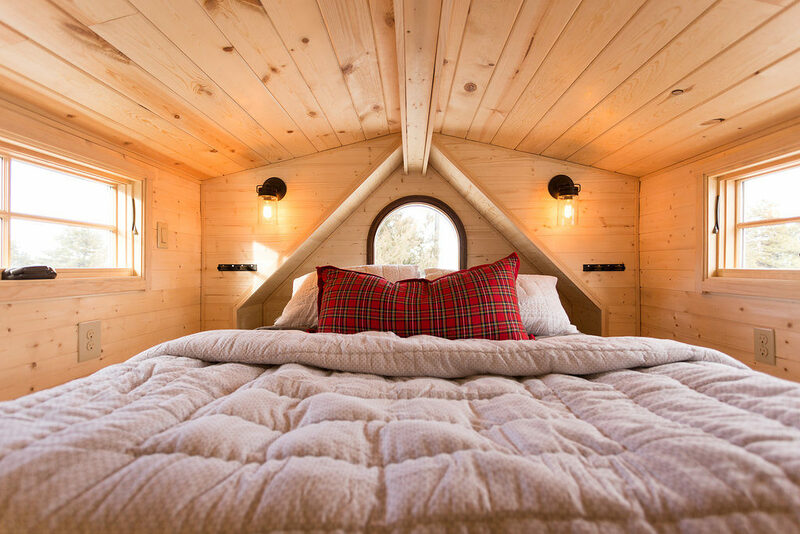 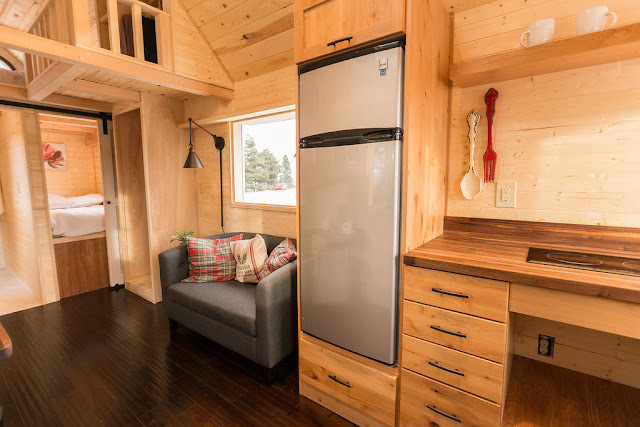 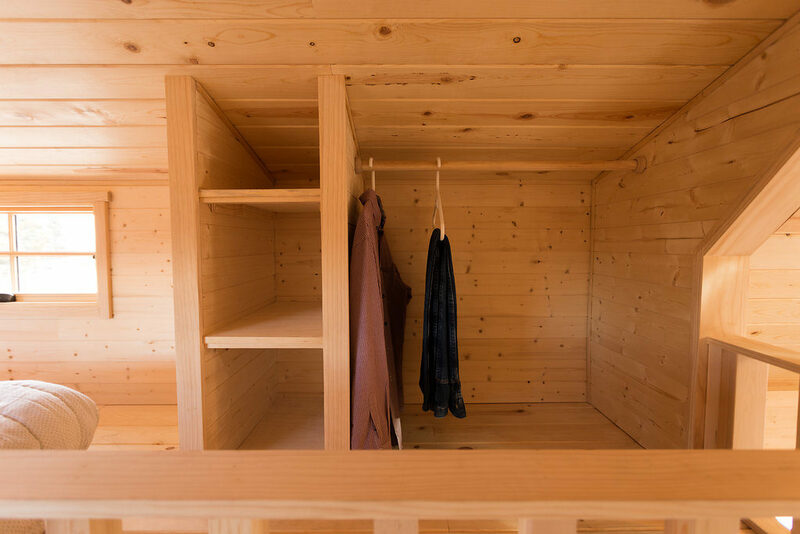 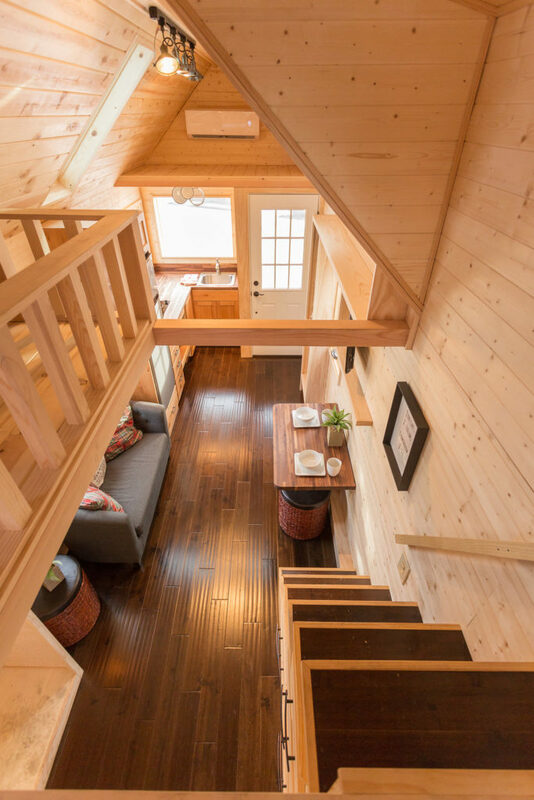 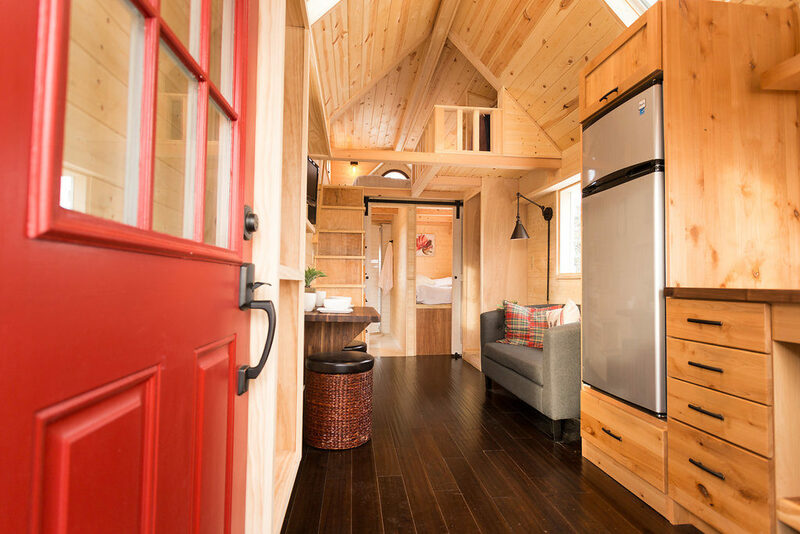 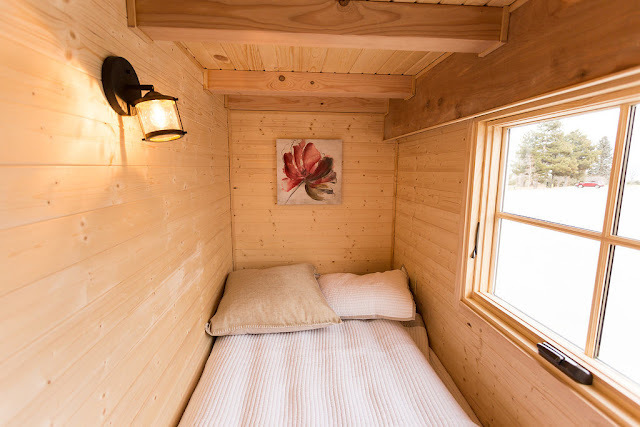 From Hideaway Tiny Homes is this colorful and beautifully-designed tiny house! 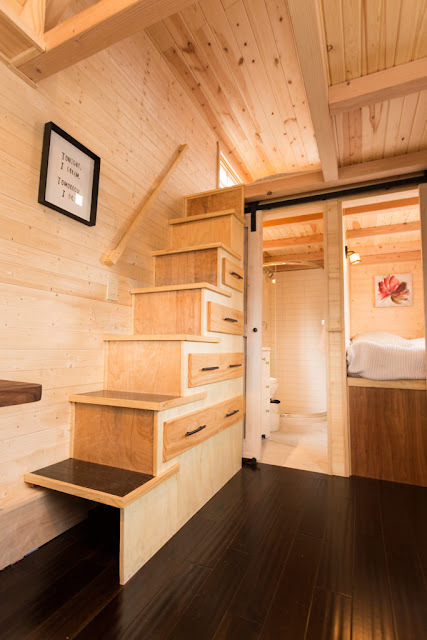 Inside, the home has a 208-sq-ft interior, plus an 80-sq-ft loft for a grand size total of 288-sq-ft. There’s a ground floor twin-sized bed, and a master queen-sized loft upstairs. There’s also a kitchen, and a bathroom with a composting toilet. 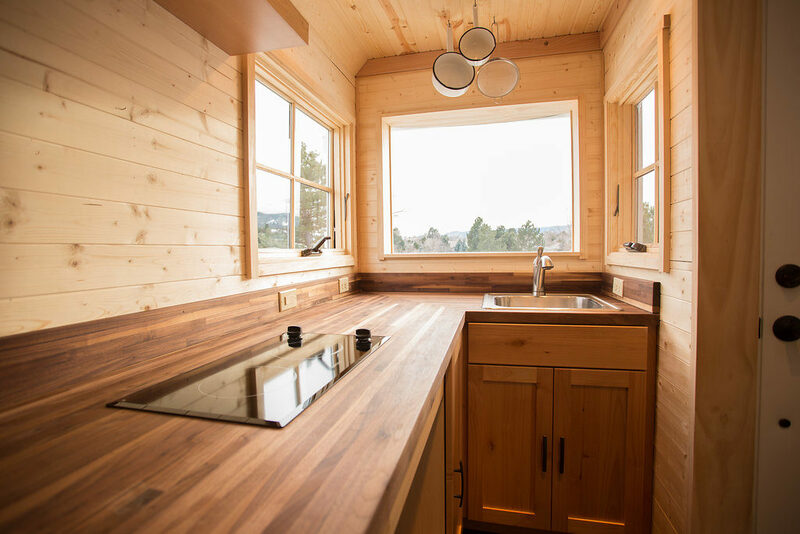 Additional features include a covered porch, a tankless propane water heater, a 46-gallon freshwater tank, and a split system. 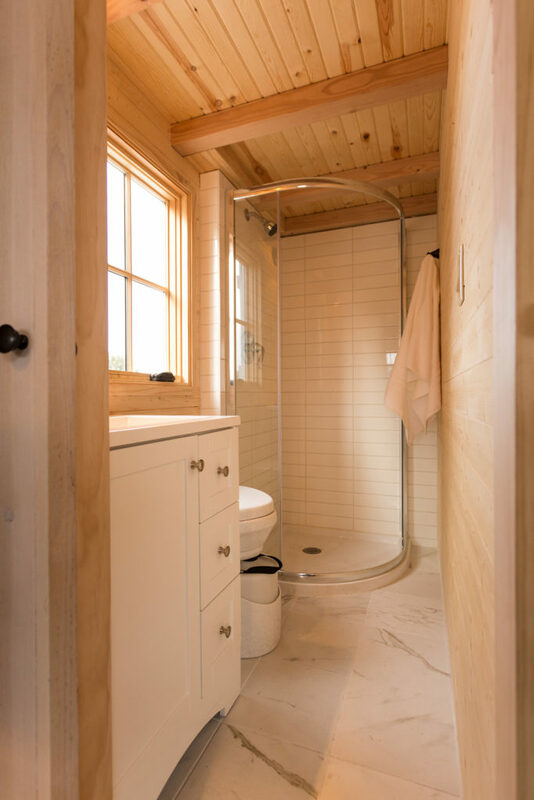 A one-year manufacturer warranty is also included! 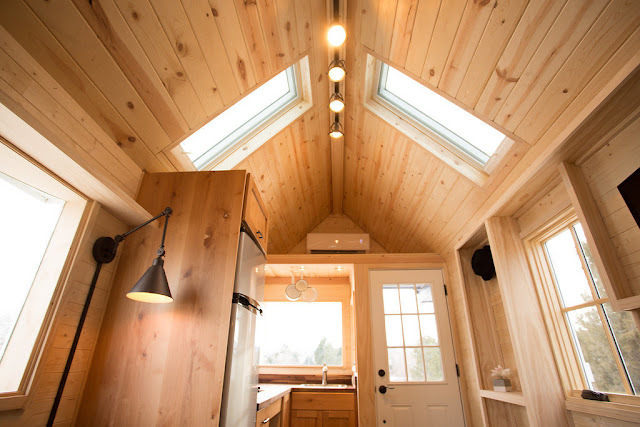 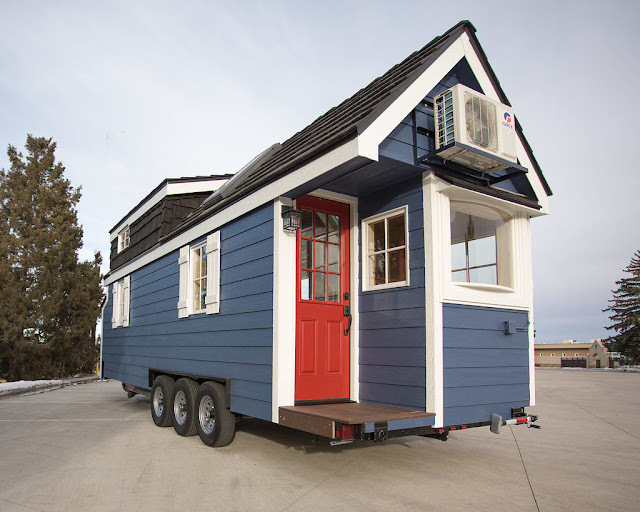 The Porchlight is currently available for sale here in Denver, Colorado, for $79,900.